Is zucchini taking over your garden and fridge yet? It’s late summer in Oregon now and our zucchini plants are still mass producing! We only have 2 plants, but that’s definitely enough. Here is something to bake with your zucchini, you probably won’t find these in your local bakery or grocery store. 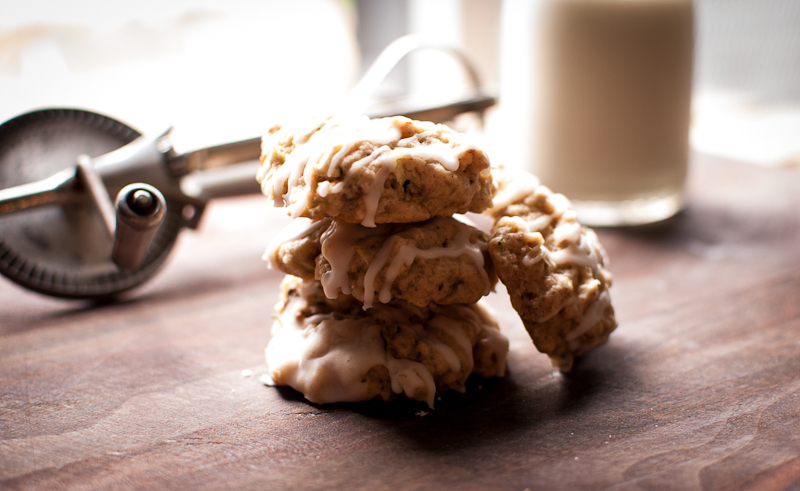 At least I haven’t as of yet……Zucchini cookies! Oh yes, cookies! Of course you have already done zucchini bread, zucchini fritters, and probably sauteed some to add to your pasta dishes too. So today, I give you something different to try. And these are soooooo good! When I was growing up, we didn’t have a garden, I think it’s because my mom was just too busy to fuss with one. My grandmother though, she always had something in her garden. I remember her pantry was as big as my bedroom, and always full with canned goods she would make. Zucchinis were always on her counter, in her garden, and in her pantry. 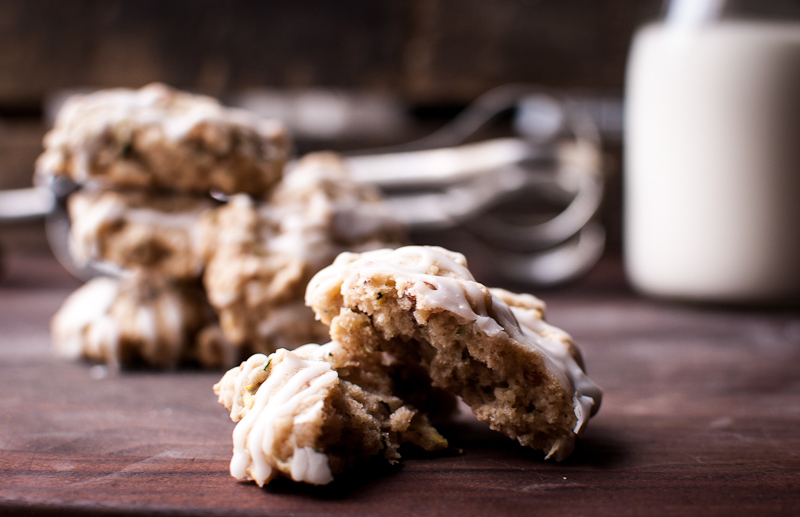 My mother always brought some home with her after visiting, and she would make these zucchini cookies. I altered the recipe a wee bit, adding cinnamon and lemon zest to the batter. I added crushed pecans too. The original recipe called for walnuts. They taste like summer in a cookie, light and moist, and drizzled with a lemon sugar glaze….delish! 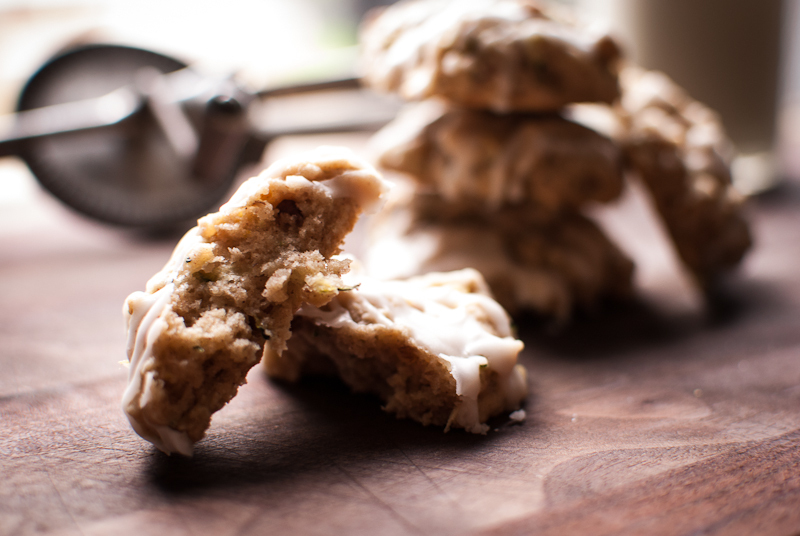 You can make a lot of cookies with just a few zucchinis, each batch yields about 2 dozen and only needs 1 cup of shredded zucchini. So do the math, depending on the size of your zucchinis…oh yeah, bake many dozens and share the love! Whisk the flour, salt, and baking powder, and cinnamon together in a large bowl. Add half the flour mixture and mix on low speed until just mixed. Next add the rest of the flour mixture and mix for a few more seconds. Add the shredded zucchini, lemon zest and nuts. Mix only until just combined. Scoop onto a parchment lined baking sheet and bake for 15 minutes. Mix powder sugar and lemon juice together until smooth, add more lemon juice if needed to a smooth consistency, but not to runny. 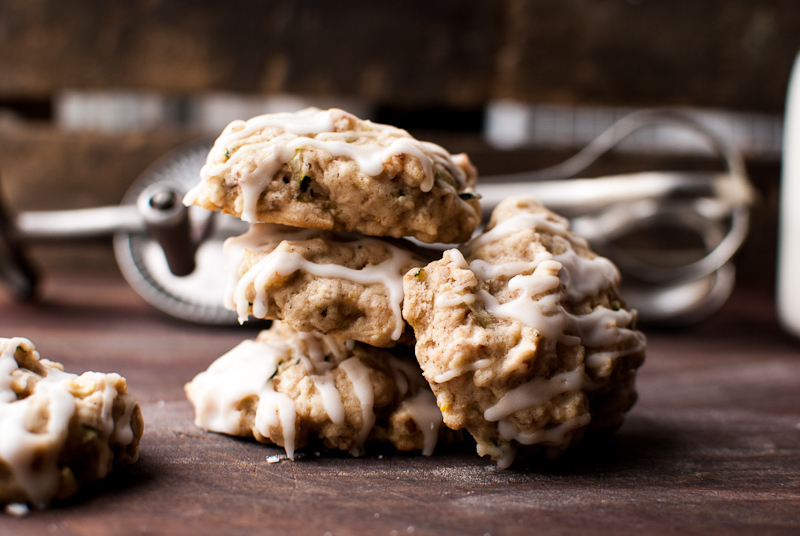 What a neat idea – never thought to use zucchini in cookies before, but I love zucchini bread so I bet I’d enjoy these too! Great to see you both at the tapas event yesterday – thank you for my first-ever taste of Cronut and the lovely pumpkin pie flan! YUM!